PRODUCT: AJC #116-FTB WIDE-FORK-TOOTH BALDE, SHING-GO (shingo) REPLACEMENT BLADE. PRICE/EACH. 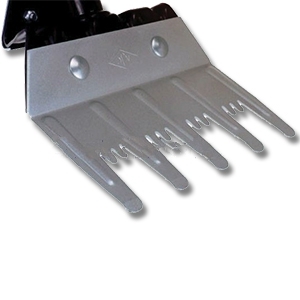 DESCRIPTION: Designed to remove larger sections of roofing material. Made from super tough aircraft grade alloy steel. Gusset reinforced and heat treated for long life. Fits its all AJC Shing-Go Shovels using existing hardware.